What if you plan on going to medical school but your college of choice does not offer an undergraduate pre-med major? One of the great things about medical school is that a degree in science or a medical-related field is not mandatory for acceptance. In fact, many music majors go on to study at medical schools and become highly effective doctors. Medical schools are looking for people who have diverse skills and abilities, and some of the best degrees for an admission committee are those that demonstrate a proven ability to succeed, work hard and have well-rounded and diverse interests. According to a report released by the American Music Council, 66 percent of music majors that applied to medical school were accepted. While this flies in the face of conventional wisdom, the reasoning is likely a mixture of strong work ethic, good manual dexterity, a strong ability to perform and good skills in working in real-time, performance-related environments. Depending on your specific practice or specialty, some degrees might be more beneficial than others. A biology degree prepares students for a degree in medicine by teaching students about life processes and giving them intense study in advanced science topics. “Biology students often have to work long hours in labs during college, and advanced study makes students well-suited to the rigors of medical school,” says Dr. Gilbert Webb. Biology is a challenging field, and it can help prepare your mind for advanced medical-related fields and specialties. A good doctor knows how to communicate with patients, and communication degrees tend to teach students how to be effective communicators. 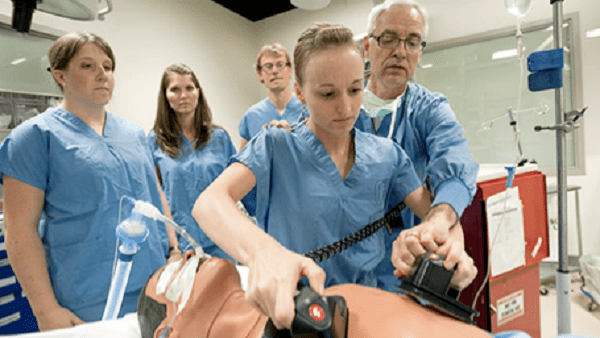 Beyond that, this major is a great non-science option for people interested in medical school, even though it may seem like a bit of a stretch. People who attend med school come from all walks of education, and sometimes a major like communications can actually work to set you apart from all the biology and pre-med students. Math majors have a unique opportunity to test their logic and expand their minds in a way not generally possible in other degree programs. With a solid understanding of mathematical concepts, students are more likely to be able to excel in their given specialty. Mathematics courses prime the brain for advanced work, and when coupled with a few science courses can be the perfect degree to prepare for medical school. A degree in humanities can be a good option for someone who doesn’t want to take a lot of advanced science courses. Medical school science is difficult, but it’s different from the type of knowledge gained from an undergraduate program. 51 percent of humanities majors on average are accepted to medical school. Humanities courses such as ethics, psychology, and anthropology can be very useful in the medical field. These degrees provide a strong understanding of social sciences, show an ability to work with abstract concepts, and make for a well-rounded individual. Some colleges offer a pre-med degree, and while it sounds like a good choice, this option should only be reserved for people who don’t have a dedicated interest in any other field. Premed majors should choose between difficult courses, level of interest, and convenience when mapping out a degree program. The degree you choose is less important than the level of challenge presented and the grades received in courses. The most important thing when choosing a degree is to choose one that you can excel in. Medical schools won’t lower the admission standards because you decided to take a whack at organic chemistry and received all C’s in your courses. Choose a degree that shows off your strengths, provides a challenge, and helps you to develop as an individual. Whatever major you choose, arrange your classes so that you get in a healthy dose of science-related courses and you can choose virtually any degree you wish to prepare for medical school.